I am attending GHC 2018! I am attending Siggraph 2019! My name is Ying. I am a second-year Ph.D. student in Texas A&M University. I am currently seeking an opportunity to be a research intern in the computer graphics industry. Working on muscle simulation under Dr. Shinjiro Sueda's guidance. Applied deep learning technique to signal detection task algorithms under Dr. Mark Anastasio's guidance. Applied machine learning algorithms to obtain the 3D mesh decomposition under Dr. Huaiyu Wu's guidance. Achieved cascaded merging based on features between neighboring super-patches. Optimized the segmentation results and improved the efficiency of the process. Competitive award for academic excellence. Competitive scholarship for attending the 2018 Grace Hopper Conference on Celebration of Women in Computing in Houston, TX. Competitive scholarship for participating as a presenter of 2019 Siggraph Conference in Los Angeles, CA. - Project #1: Feature Detection and Matching: Implemented a feature detector that robustly compare images with differences in position, orientation, and illumination. - Project #2: Panorama Mosaic Stitching: Built a image stitching software to create 360 degree panoramas. - Project #3: Eigen Faces: Applied Eigenfaces to do face verification, recognition, and detection. - Project #4: Single View Modeling: Built a single view modeling system for creating 3D models from single images. - Project #5: A Neural Algorithm of Artistic Style: Applied CNN methods in texture transfer. A starfish with a skeleton consisting 752 of 20 joints and a coarse FEM mesh consisting of 221 vertices. For display and collision, a fine mesh is embedded with 7909 vertices 754 inside the coarse simulation mesh. 1. The material model is co-rotated elasticity, but any material model can be used. To avoid inversion in large deformation, invertible FEM method is applied. 2. The animation is controlled by RED/MAX hybrid dynamics. The locomotion of starfish is controlled procedurally by prescibing joints and some specific points on the skeleton. 3. The rest of the skeleton and the FEM mesh are passively simulated with fully implicit two-way coupling. We simulate a human hand using hyper reduced coordinates on the most distal joint(DIP) / the second most distal joint(PIP) of the four fingers. 1. The animation is controlled by RED/MAX hybrid dynamics. 2. The fingertip positions are prescribed using maximal inverse dynamics. 3. The elbow angle is prescribed using reduced inverse dynamics. 1. Decide the number of rigid bodies, the tree structure of the joints (branching, loop, etc). 2. Add constraints such as joint angle limits. 3. Add springy object such as springs, deformable objects, etc. 1. Interactively change several related parameters: gravity constant, the size of time step, the number of Gauss-Seidel iteration desired, the number of iterations of Iterated Orthogonal Projections desired, etc. 2. Turn on/off three forces in the density field: Bouyant gravity force, Surface tension force, Vorticity confinement force. 3. Change between three advection schemes and compare their differences: Semi-Lagrangian, BFECC, Modified MacCormack(MM). This project implements a 2D SPH system. The forces include the Tait equation of state, viscosity, and gravity. The simulator can run with thousands of particles, and allows interactive (keyboard) adjustment of the following set of parameters: kernel radius, viscosity strength, gravity strength, Tait parameters for strength, power, and base density. This project implements a 3D SPH system. The forces include the Tait equation of state, viscosity, and gravity. The simulator can run with thousands of particles, and allows interactive (keyboard) adjustment of the following set of parameters: kernel radius, viscosity strength, gravity strength, Tait parameters for strength, power, and base density. This project implements a springy system. WHOOP, or Football Bingo, will be a mobile application hosted via 12thmanlive.com allowing football fans the opportunity to engage with each other and the game in real-time. Every player will have one free bingo card for a sports game, the card will contain carefully selected 'chips' defining a particular condition that, if true about the respective game, will be awarded to the player. Some such chips, when awarded, will be 'instant winners' giving the player immediate rewards, but the goal of this application is to keep users engaged in the sports game as they attempt to achieve a bingo! Which will reward a small selection of winners with larger prizes. Stakeholders include fans, sponsors, and the TAMU Athletics department. The goal of this application is to increase TAMU sports fans' exposure to 12thmanlive.com, encourage camaraderie amongst fans, and as a method of understanding more about the sports fan base through registration rates, feedback, etc. A movable 3D Kirby model designed using OPENSCAD. We want to maintain the global arrangement from the original photograph and apply the colors and local structure of the artwork to it. We end up with a new synthetic image which has the style of the artwork and the content of the photograph. This project we assembled the robot and simulated the motion in Solidworks. We also devised a C program in AVR Studio to control the movement and provide an algorithm for the robot. We finally accomplished the image recognition process both in MATLAB and OpenCV. This project is to detect discriminating features in an image and find the best matching features in other images. The features are reasonably invariant to translation, rotation, illumination, and scale. 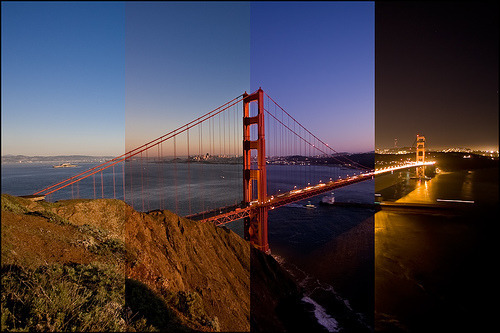 Basicly, the workflow of generating panoramic photos is as follows: Take a bunch of photos. Warp them to spherical coordinate system. Align them properly. Stitch, crop and blend them to generate the final panorama. In this project we create a face recognition system. The program reduces each face image to a vector, then uses Principal Component Analysis (PCA) to find the space of faces. This space is spanned by just a few vectors, which means each face can be defined by just a set of coefficients weighting these vectors. The intuitive approach to motion magnification is to identify points of interest between frames, track their movements and generate an optical flow field, and then amplify said field to produce the magnification effect. This is the core of the "Laplacian" method used in Liu et al. 2015. However, it is computationally intensive to derive and amplify said fields accurately, leading to the developments of the "Eulerian" approach utilized by Wu et al. 2012. The difference between the two approaches is analogous to the contrasting Laplacian and Euclidian perspectives in fluid mechanics. While the Laplacian approach tracks the movement of individual fluid particles, the Euclidian approach generalizes the same properties by analyzing the flow through voxels of fluid instead. Similarly, Eulerian Video Magnification does not identify explicit particles and track their movements, but instead analyzes the periodic intensity change of individual pixels over time and amplifies them. In this project we implement Image Quilting for Texture Synthesis and Transfer, a SIGGRAPH 2001 paper by Alexei A. Efros and William T. Freeman. The paper presents a simple image-based method to do texture synthesis and texture transfer. Texture synthesis is the process of creating an image of arbitrary size from a small sample (grass sample above). Texture Transfer means re-redering an image in the style of another one (Abraham Lincoln above). This project explores gradient-domain processing, a simple technique with a broad set of applications including blending, tone-mapping, and non-photorealistic rendering. For the core project, we will focus on "Poisson blending"; tone-mapping and NPR can be investigated. The primary goal is to seamlessly blend an object or texture from a source image into a target image. 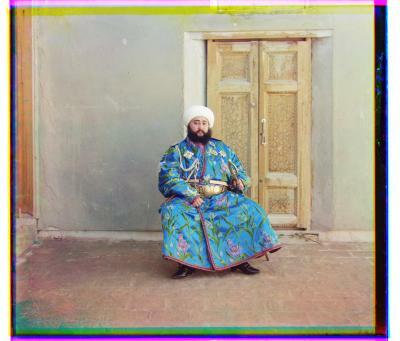 Automatic color aligning and compositing of the Prokudin-Gorskii photo collection.